Dad Quest is a game about hurling your child at all of your problems. Dad Quest is a game about hurling your child at all of your problems. See an enemy? Aim and throw. Kids have classes like scholar and jock and, like real children, can be upgraded with elemental powers. If you die, your kid grows up to be The Next Dad. 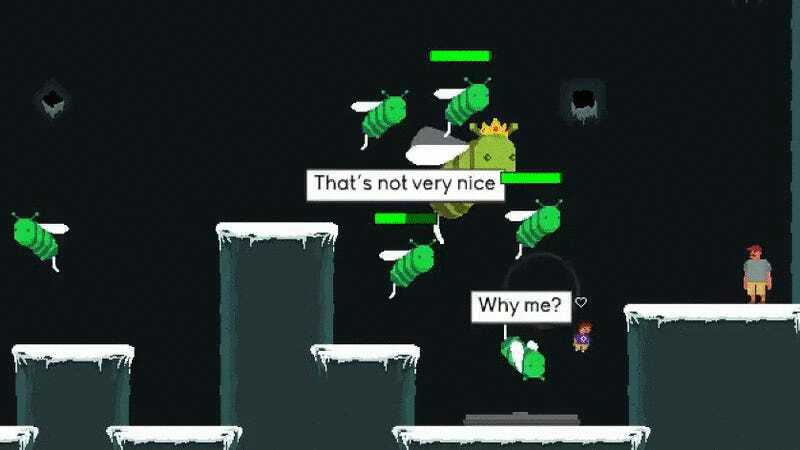 Dad Quest is on Steam Greenlight, and it looks hilarious.